Private Jet charter for the Ski season. 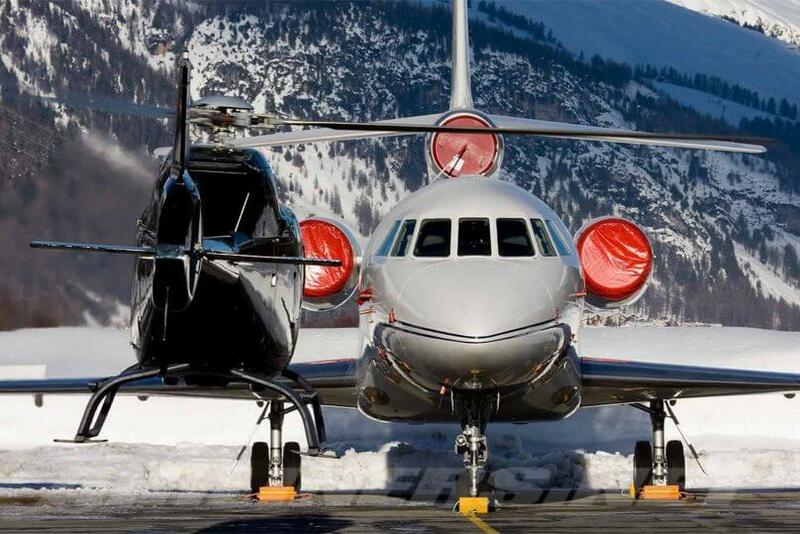 Get away in the Winter to enjoy the snow, whether it’s a week long holiday or just a weekend break to one of the many famous resorts in Europe then consider flying by private jet. 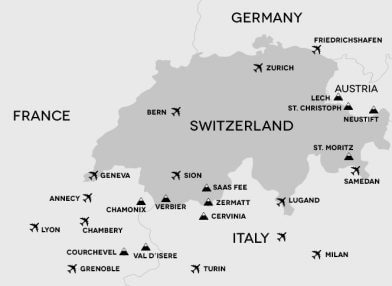 We have private jets to charter available throughout the UK and Europe providing direct access to your chosen destination . 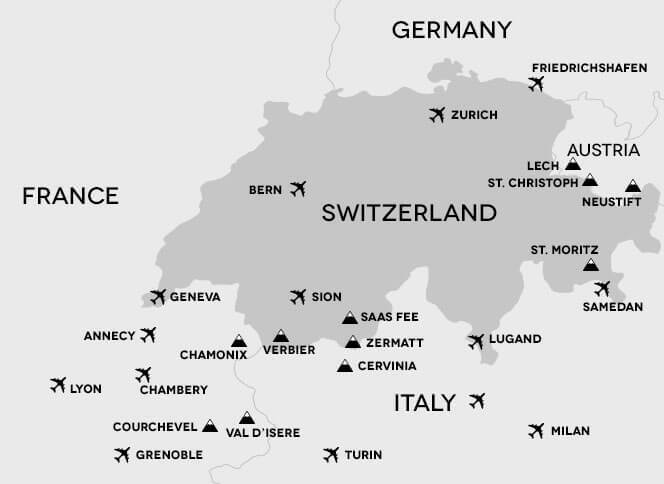 Jet Charter to Sion Airport offers the following choices of destinations including Zermatt, Saas Fee, Montana, Verbier and a number of others providing simple, stress free jet hire allowing you to ski for longer! Jet Charter to Chambery offers great ski areas including Courchevel, Meribel, Val d’lsere and La Plagne. 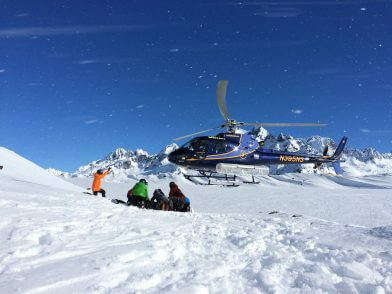 We can also cater for helicopter transfers to and from the airport to save any traveling time once you arrive in Chambery.